Provision of Hope is raising funds in order to provide a home for the HOPE FOR LIFE BOYS. 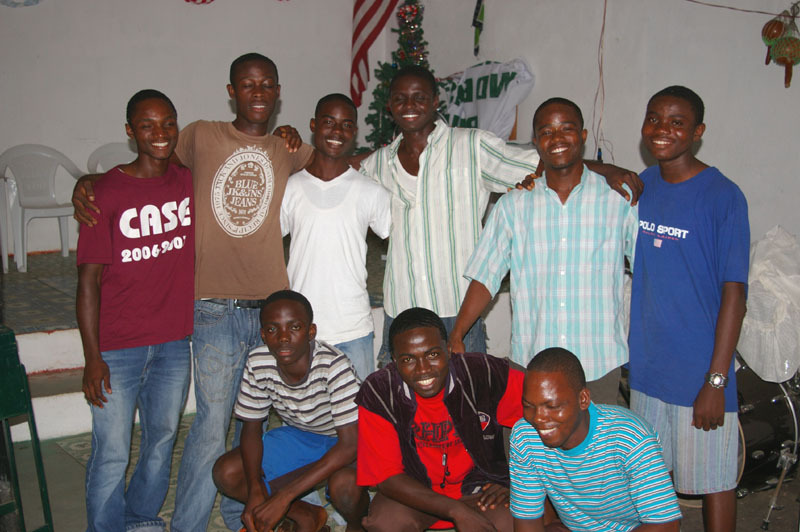 These 14 boys currently dwell together in a 10 x 20 thatched room on 3 old mattresses. They have virtually nothing, but a few clothes. We currently have $900.00USD down on a new home for them, but we still need another $900.00USD more to complete the rent for one year. If you could help us with this new projects, they would be so grateful. The HOPE FOR LIFE BOYS did this beautiful music video out on the beach by the ocean in Monrovia, Liberia. They freely and unabashedly expressed their worship and gratitude from the bottom of their hearts and Tim Moores, professional videographer, captured the moment. It is obvious that these boys are passionate for the Lord! I am so glad they may finally get into a house. They want to name their new place HOUSE OF BARNABAS, because it is a house of encouragement. They are hoping to buy some paint to fix up their rooms and the front of the building. They can do the work themselves. Shooting Melody of Praise singing "He Goes Anywhere For You"
Please pray that the landlord will have patience until the funds are in. We do not want to lose this place. If you wish to donate, please go to http://www.provisionofhope.comdonate and mention HOPE FOR LIFE BOYS in the comment field. Watch their music video; Anywhere For You here… Thank you and God bless you! Sounds like you had a wonderful trip. I just posted a video and a link back to this site. God Speed! Love the song…Singing is one thing I really missed in Liberia….I really do miss singing…Great job guys..keep singing..